① Form 10 onigiris from the cooked rice. Combine the miso and sesame seeds. 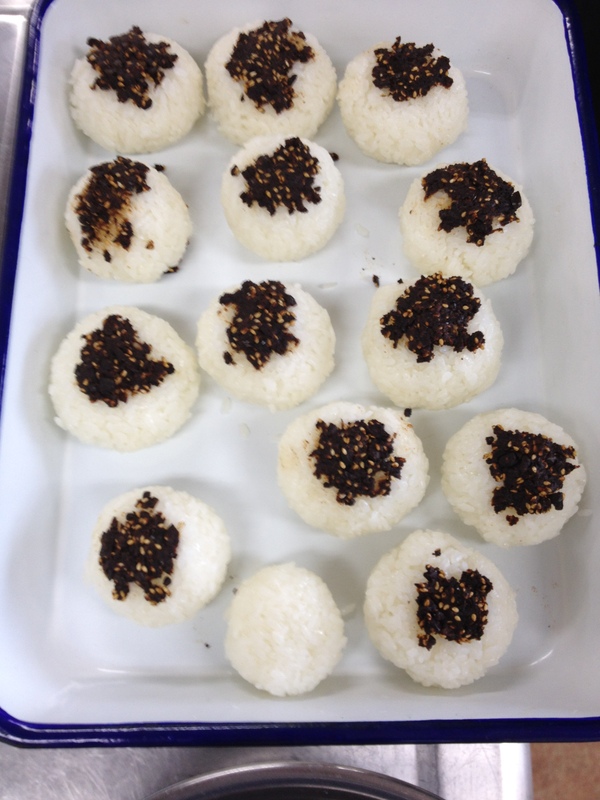 ② Coat each side of each onigiri with the miso and sesame seed mixture. ③ Pan roast each onigiri on each side. ※ Serve in bowls and pour on a bit of the soup from the buri shabu nabe.